Stage 4 around San Juan de Marcona was the best day so far for Tomas Ourednicek and David Kripal in the 2018 Dakar Rally. 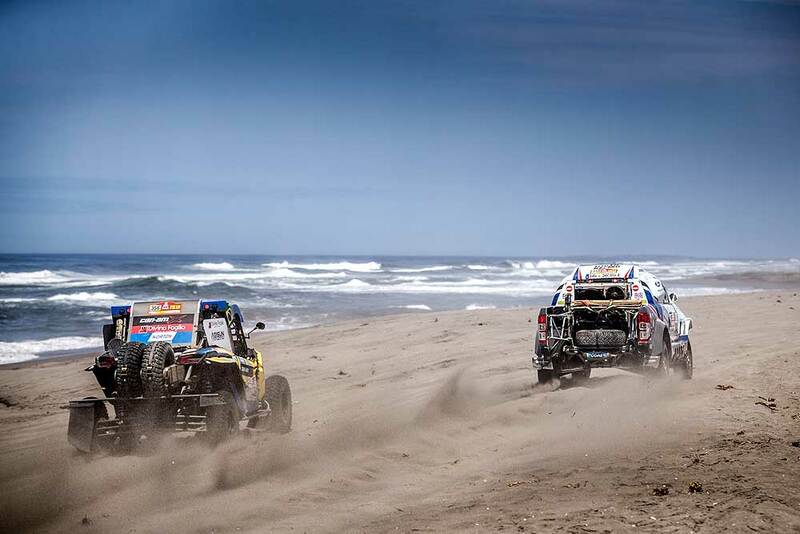 The crew of South Racing clocked the 28th time in the 330 km special, first part of the marathon stage, and they occupy the provisional 49th position in the overall classification with their Ford Ranger Dakar. Driver Tomas Ourednicek was all smiles at the finish of the stage: "It was a very nice stage but very difficult. We started on the beach, four cars abreast, and for 16 km we drove along the seashore. We enjoyed it a lot, especially when we managed to catch the group starting in front of us. We passed several cars, but then we arrived in a stony and tricky part, where we got a puncture." "Later there were some huge dunes with very soft sand, and we got stuck and also lost another wheel because the tyre came off the rim. Just imagine… We were at km 120 of a 330 km special, with one single spare tyre left! After that I tried to drive as carefully as possible, but unfortunately I made some mistakes and we got stuck two or three times." "Short before the end of the special, where we could almost ‘smell’ the finish, we hit something, maybe a stone, at quite high speed. The hit was so hard that the rim was destroyed thus making it difficult to remove. With all of these problems we can’t really understand the result, but of course we are very happy. This was a great day for us, and even more so because we’ve just received good news about our friend Ondrej Klymciw who woke up from artificial coma." 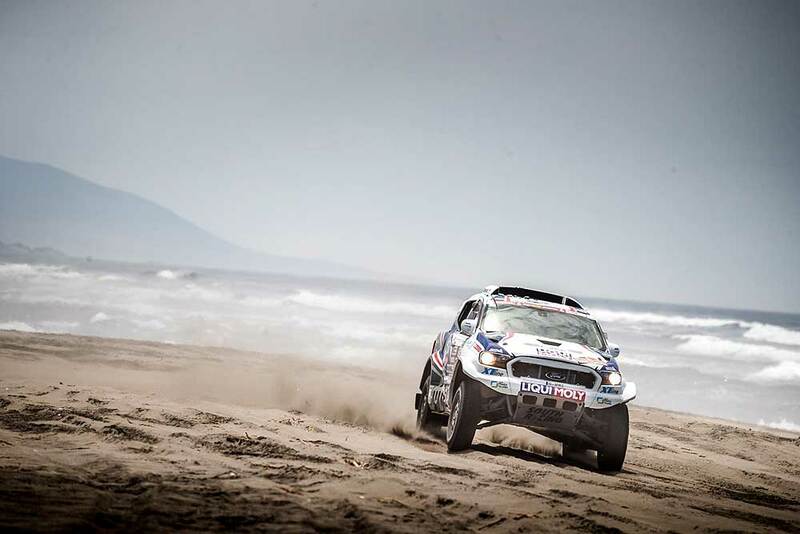 His co-driver, David Kripal enjoyed the stage, too: "This was a very nice stage, Peruvian dunes are fantastic, but at the same time also dangerous. Unfortunately, we saw many vehicles having problems. The navigation was very tricky, but we managed to cope with it, and this gives a lot of positive feelings before tomorrow's very long stage."